Программа совместима с большинством голосовых чатов: Skype, Yahoo Messenger (YIM), AOL Instant Messenger (AIM), ICQ, MSN, PalTalk, Odigo, Netmeeting и Roger Wilco; а также с программами компьютерной телефонии: Net2Phone, Dialpad, Go2Call, DeltaThree, MaxPhone, а также совместима почти со всеми аудиоплеерами: Windows Media Player, Winamp, RealOne Player, Music Match, Music Jukebox, PowerDVD, WinDVD, Zoom Player, BlazeDVD, Hero DVD Player, а также караоке-проигрывателями и Интернет-радио. 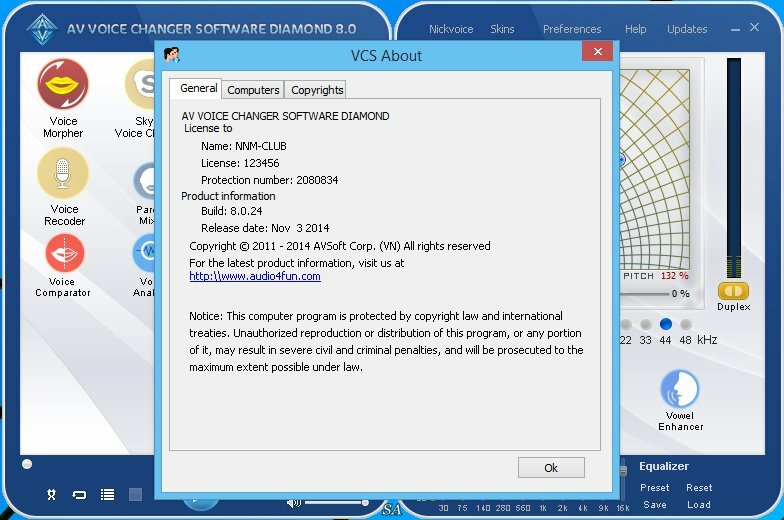 Поддерживает форматы: mp3, wma, wav, ogg, au, ape, nist, aif, irc, mp2. 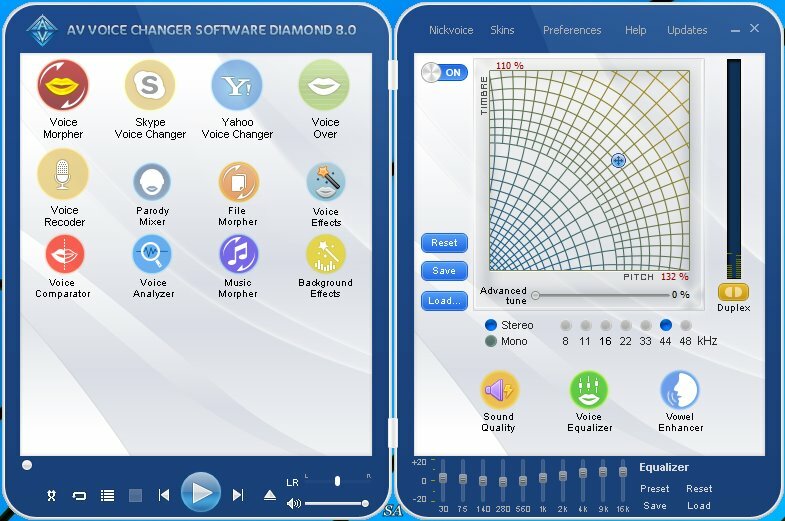 Negative Feedback filter (or Noise Reduction): It allows you to eliminate the electronic noise of self-induction which could appear when your microphone is close to your speakers. 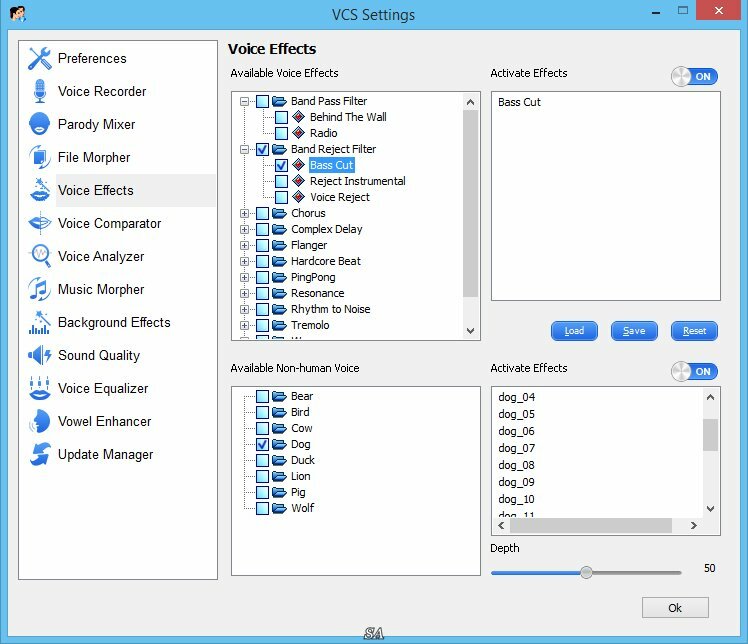 Non-human nickvoices and Voice effects are now displayed in one classic-style window for a better controlling over any real-time voice changing session. Formant morpher is updated with core changes that makes it become a more powerful feature in enhancing the output quality. 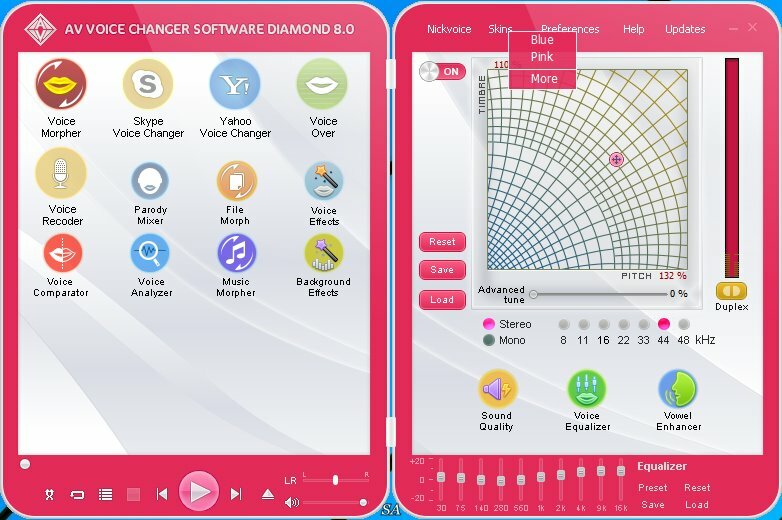 More ready-to-use presets for the Voice Equalizer. 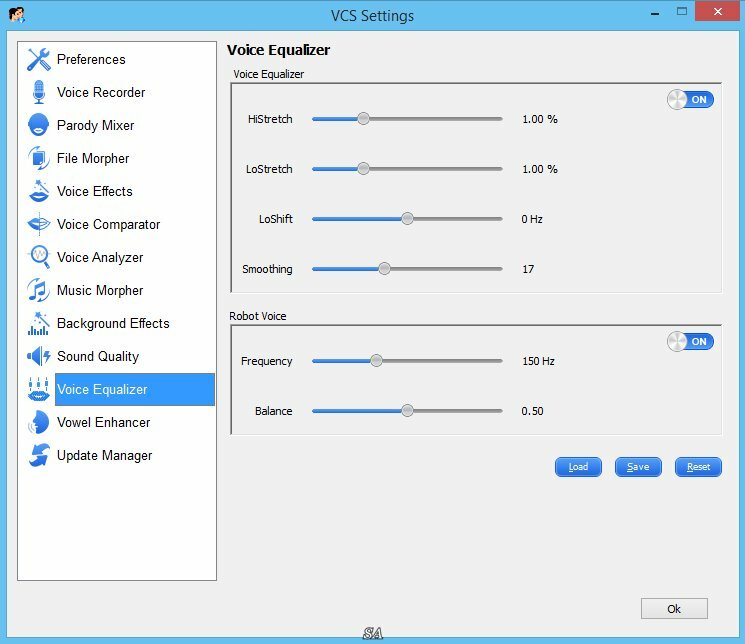 Virtual-Audio-Driver (VAD) mode is giving possibility to change stream which you choose in Application combo-box. Как удалить она запрашивает INSTALL. LOG file? ? что делать то? Программу надо запускать при включённом Патчере, после в патчере будет написано что всё сацисфуленно.